WHAT ARE YOU AND YOUR KIDS DOING THIS SUMMER NASHVILLE? I thought this week I would focus on Nashville a little bit. On Thursday, I attended the first of the MNPS Next meetings at IT Cresswell. Jason Gonzales of the Tennesean put attendance at about 75. Of that 75 just under 50% were MNPS employees. Also in attendence were board members Anna Shepherd and Mary Pierce. I’m going hold off on making any comments about the meeting because I don’t want to unintentionally disuade anyone from attending. There are some rough spots that need to be worked through, but they’ll only get worked through if people show up and push back on them. I do question once again hiring an outside party to conduct these meetings. Chris Weber’s office of student assignment does excellent work and I’m not sure why they couldn’t have overseen this process. On a plus note, Dr. Joseph was present at the meeting and was much more accessible and approachable than in the past. That in itself makes the price of admission worth it. This week saw what I would consider a low point with our school board. Tuesday’s meeting began short of a quorum, with only four members present. Now to be fair, 3 of the missing had legitmate personal reasons to be late or absent. 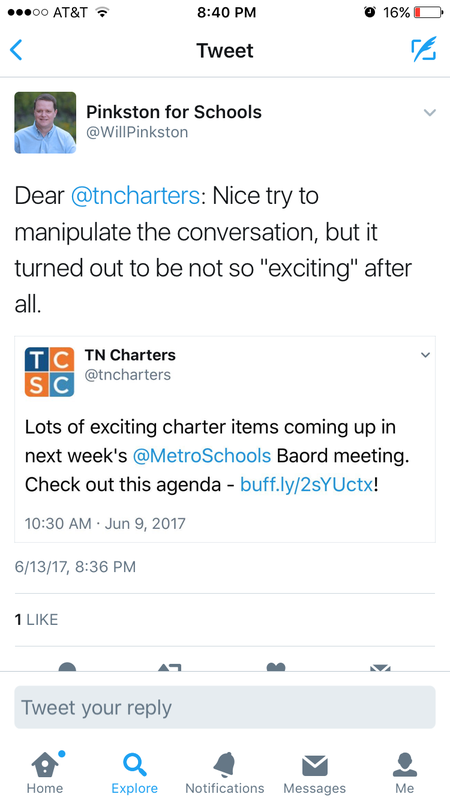 Based on twitter feeds, I can only surmise that the other 2 were absent because they didn’t want to hear what people who signed up for public commentary had to say or they wanted to avoid voting on board member Mary Pierces proposed referendum COMMITTING TO ADVOCACY AND RESPECT FOR THE ENTIRE ORGANIZATION OF MNPS AND ALL OF ITS STUDENTS AND FAMILIES. That’s inexcusable. One of our board members likes to tweet and comment publically about his rights under the Constitution. I would remind him that the Constitution protects the rights of all people, not just the ones that agree with him. Part of the job of school board member is to hear things you might not want to. Let’s be honest, both sides of the charter school debate have been guilty of stacking public commentary. I try to always ask myself, “How would I feel if I was in the minority and this tactic was used against me?” What comes around always goes around. The other thing that happened tuesday night that I find inexcusable is the limiting of parents requiring translators to the reduced time of two minutes. Standard speaking time is 3 minutes but due to the high volume of speakers, the board chair sent word out the night before that times would be reduced to 2 minutes. We can debate the merits of the board director limiting speaking times, though I would argue that a meeting with no actionable items and no directors report would not demand reducing those times, but accomodations need to be made for those that require translators. The problem with limiting parents requiring translators is two fold. First and foremost is the simple fact that utilizing a translator lengthens the time of a presentation. In essence it cuts time in half because everything has to be said twice and therefore you are penalizing parents who don’t speak English. How is that congruent with the recently voiced support of immigrant and refugee children? Part two of the equation is the fact that it takes a tremendous amount of courage for a non-english speaking parent to get up and speak out publicly. Do you think they are unaware of the rhetoric that swirls around them? My mother was a refugee from the Ukraine to Germany during WWII. I lived in Germany growing up and as a family toured the country extensively. But we never went to Berlin. It was my mother’s fear that if we went there they would detain her. Was that an irrational fear? Sure. Could she grasp the fact that she was a US citizen and therefore couldn’t be detained? Of course. Did we visit Berlin? No. The same holds true for our non-english speaking community members. They may have every legal right to be here but they are well aware of the immigration debates raging and are understandablt slow to risk their status. Our refugees families, despite what President Trump would have you believe, spent years in refugee camps before arriving here. News flash, you don’t get to stay in a refugee camp by making demands. These are the challenges we face in getting parental involvement in our schools with high EL populations. Say what you will about Project Renaissance, and I have a lot of qualms, somehow they are managing to get those parents to the microphone. That needs to be recognized and commended. Because if not them who? Nobody else, including me, has taken it upon themselves to make the extra effort to get these voices to the table. At the very least, we can refrain from throwing more roadblocks up in their path way. Sending these parents away with the impression that their voices are only welcome when we agree with them is unacceptable. It’s an action that needs immediate correction and apology. I have repeatedly said this over the last several months but this week’s board meeting just reiterates the point. 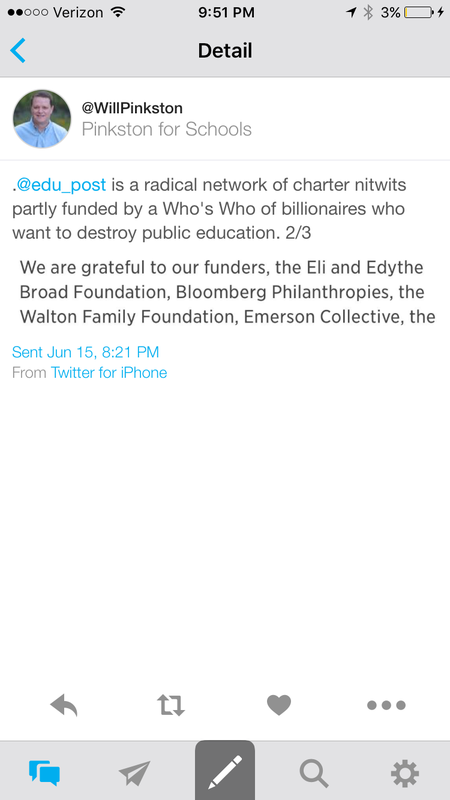 This endless battle between charter school zealots and defenders of public education needs to go on the back burner. We have very real issues that we need to focus on with a laser like focus. For example, we are hemorrhaging teachers and central office personel right now. Look at the job listings and you’ll see that there are 41 central office positions open and nearly 600 teaching positions available. We’ve got schools with turnover rates for the last two years over 60%. 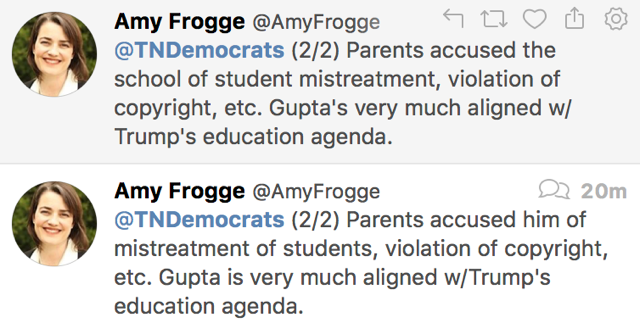 I would argue that teacher turnover is a little more important than Ravi Gupta’s newest endeavor (Maybe next week I’ll have a poll questions that asks how concerned are you with Ravi Gupta’s latest endeavors.) and demands a little more attention then what community members are paid by EduPost, especially when we have district administrators that are Broad trained. It’s going to take a little more than the country’s largest discount program for us to increase teacher retention and it is time to start having the right conversations. Time now for some good news and kudos. Jeremiah Ginder, Hume-Fogg Academic Magnet High School, and Joseph Henry, Hillsboro High School, are the recipients of National Merit college-sponsored scholarships. Congratulations go out to the both of them. McMurray Middle Prep hosted a groundbreaking ceremony on June 14 to celebrate the kickoff of a $20.75 million renovation project that will transform the 53-year-old school into a modern learning facility. These renovations are desperately needed and we are very excited to see these renovations begin. 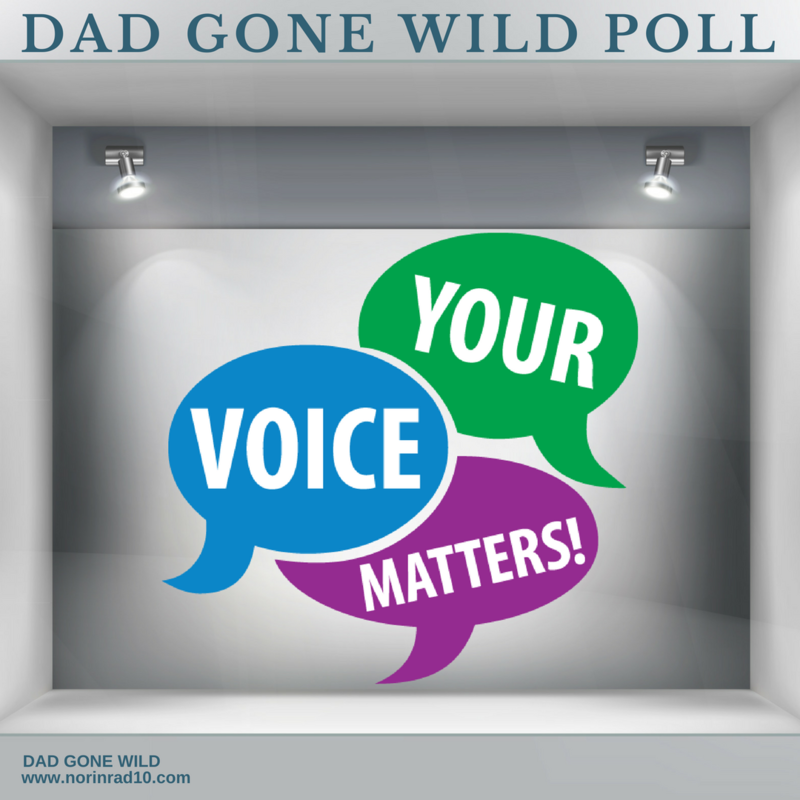 This week I decided to make all the polls questions Nashville based. The first one asks about where you like to take the kids during the summer. Nashville has an abundance of family friendly activities and I want to know which place is your favorite. Things have changed dramatically in regards to summer camps since I was a kid. It used to be only most priviledged of us went to camp. Now most families send their kids to some sort of summer camp. I thought I’d try and get an idea of just how much we utilize summer camps. Lastly I’d like to get your read on MNPS Next. How much do you plan to participate? As always, I hope everyone has a great weekend and I look forward to your answers.